Paul presents science and factual programmes for the BBC and the BBC Inside Out series. His new series, The Lake District, will broadcast on BBC1 and BBC2 in spring 2018. Explorer Paul Rose takes us on a journey through the pioneering names and events in the history of world discovery. This highly acclaimed and often repeated series was originally broadcast in winter 2006, the series was repeated as part of the Journeys of Discovery season on BBC Four and BBC Two in Autumn 2008. The series is now running worldwide and can also be downloaded! Ferdinand Magellan set out to find the westward route to the Spice Islands but his crew ended up circumnavigating the world. Paul Rose reveals the nautical adventures that transformed Captain James Cook from a naval nobody into a national hero. In 1892 Fridtjof Nansen announced a seemingly suicidal plan to be first to the North Pole. He's now considered a forefather of polar exploration. Rose tells the story of three 18th century Frenchmen who set off on a perilous mission to measure the shape of the planet. When the USS Squalus submarine became stranded in the Atlantic in 1939, maverick designer Charles Momsen rescued the crew. Click here for more info on BBC TV Voyages of Discovery. 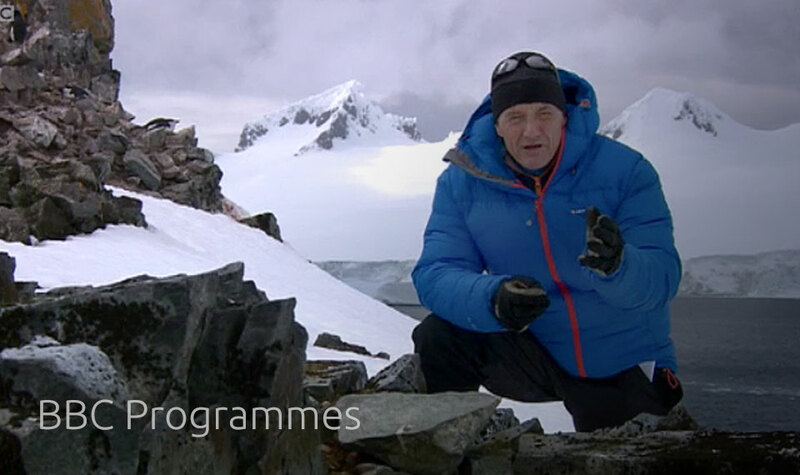 In this four-part series for the BBC, Paul explores some of England's highest mountains and meets some of the folk who live and work in the UK's most-visited National Park. Paul’s new BBC series starts Saturday 13th May at 7:30pm on BBC Two.